I've been terribly busy lately, and haven't written any IotW texts for some time. However, I noticed I had some pictures stored of the two Polo Ralph Lauren club ties I own, and thought they'd make a nice little Saturday article. 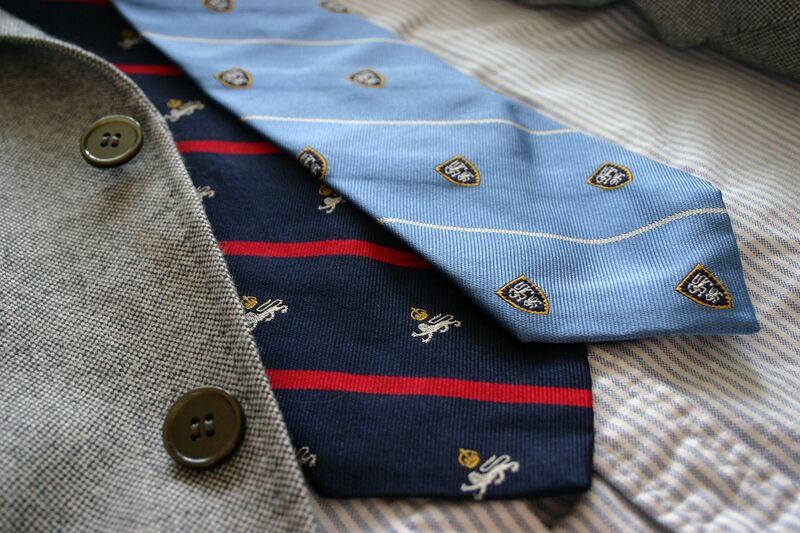 Heraldic ties are ties that have a pattern of crests or other symbols and are often striped. Originally they have been meant to identy the wearer as a member of a club, family or perhaps a school. The situation has changed since the old days however, and they tend to be included in every catalogue of every company that is pushing preppy or just traditional Ivy League style clothing. I personally don't think the use of these ties should be limited to anyone, but certainly would not use a tie that has a very easily identifiable crest and is clearly associated with some entity. Ties offered by brands like Polo Ralph Lauren often help you avoid the risk of wearing someone else's crest, and in my opinion make a perfectly OK tie for a preppy look (especially when not in the US or the UK, where people are more aware of this stuff). So, where to get yours? The best-looking ones usually come from Polo Ralph Lauren, but good alternatives can always be found from Brooks Brothers, J Press and other smaller and less known brands. The two ties seen here are, as mentioned earlier, from the PRL. 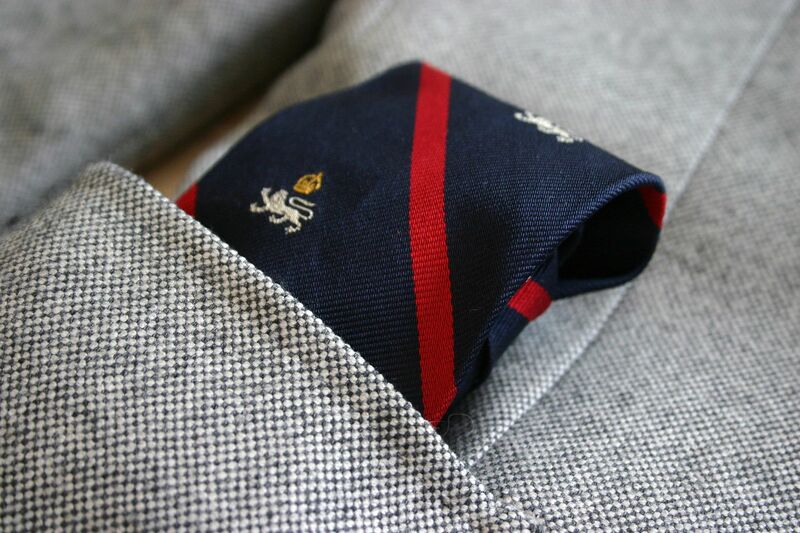 And lastly, what do the heraldic ties work with? I don't really go for the Ivy look myself anymore, but the most versatile and iconic pieces to get can pretty much be found from this list: a grey or a navy blazer, an oxford cotton button-down shirt (an OCBD as it is generally known) or perhaps a white lightweight poplin shirt, beige or navy (or white if you feel fashionable) chinos and brown penny loafers. Now, enjoy your Saturday and see you tomorrow.